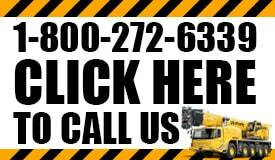 You certainly have plenty of options when looking for a crane service company in Virginia. So why choose us? We can tell you about our affordable prices, our free on-site consultation, the great work we do, our selection of equipment to handle any size job. But the real reason we are the team you should hire for crane service is because we will get the job done right, on time, on budget and that’s worth a lot these days. Here’s why you need to consider us when making your choice. Don’t Underestimate Experience: There are some things you can go cheap on and get away with, but not when it comes to renting and using heavy duty equipment. Even in the best conditions things can go wrong. What happens when the weather is poor, the terrain is rough or the job is more challenging? That’s when you will be glad that you went with someone with experience. Safety Is Always First: You cannot put safety on the bench with this aspect of the job. Construction is full of dangers and when you are handling heavy machinery and literally have lives and thousands of dollars hanging from a line, you cannot skip any steps. We put safety first and we always will. What Can We Help You With: It’s amazing how many of our customers originally did not find us for crane service. They found us because they were looking for repair help, storage, rigging or something else and they appreciated the work we did so much that they’ve been relying on us for years now. We take pride in that. VA Crane Rental is your leading crane service company and we will continue to deliver professional, high-quality work each and every time. Give us a call today to learn more.